Thomas H. Miller, of Frankl, Miller & Webb LLP in Roanoke, is the recipient of this year’s Local Bar Leader of the Year Award from the Conference of Local Bar Associations. The award recognizes continued dedication of bar leaders and close cooperation with the Virginia State Bar. 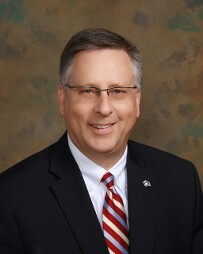 Miller has been a member of the Roanoke Bar Association for almost thirty years and was elected to the association board of directors in 2006. He has served as chair of the Memorials and Resolutions Committee; chair of the Continuing Legal Education Committee; and as secretary/treasurer, president-elect, and president of the association in 2012-13. In 2013-14, he was chair of the Roanoke Law Foundation, the charitable arm of the association, and most recently served as chair of the You and the Law: Senior Symposium. During his term as president, Miller worked with the US District Court to implement a program for attorneys to represent prisoners whose Section 1983 cases had been screened and determined to have merit. He was also involved in the Entitled Practice in the 23rd Circuit program, which enlisted judges, court officials, and attorneys to familiarize new lawyers with the court system. Miller also is involved in many charitable activities in the Roanoke community. He is a member of the local Kiwanis Club; assists with the aftercare social club, a program that provides a regular dinner and social outlet for adults with special needs; participates in Read Across America; and works for Meals on Wheels.